Patriots owner Robert Kraft announced Tuesday he would no longer fight his team’s penalties for Deflategate. In capitulating to the NFL and accepting the penalties levied for Deflategate, Patriots owner Robert Kraft made the kind of cold, calculating decision his football team is famous for. He realized the odds of preserving his legacy were much greater than the odds of overturning the damage done to his team’s. Kraft, who announced on Tuesday at the owners’ meetings in San Francisco that he would no longer fight the discipline handed down by commissioner Roger Goodell and the NFL for allegedly deflated footballs, was merely doing what all the primary players in this PSI saga are doing. He was putting his legacy first. Deflategate has become legacy Russian roulette for Goodell, Kraft, and Patriots quarterback Tom Brady, who is bracing to face off with Goodell over his four-game suspension, and no one wants to take the bullet in the end. Someone has to, though. Brady, who cares deeply about his platinum reputation, doesn’t want his all-time great oeuvre to be stained by a suspension for rule-breaking. Goodell, who has repeatedly bungled discipline in his attempts to “get it right,” doesn’t want to be exposed as the commissioner who permanently tarnished the NFL shield while overzealously trying to protect it. There are people who sincerely believe the Patriots have won four tainted Super Bowl championships. Patriots fans are livid with Kraft for giving up the fight over Deflategate. They feel like he riled them up to fight the power and then pulled the plug. But Kraft made a difficult adult decision, instead of clinging to childish emotion. The reality is that Kraft’s options to continue tilting at Wells Report windmills were few. The appeals process in the NFL is a joke. 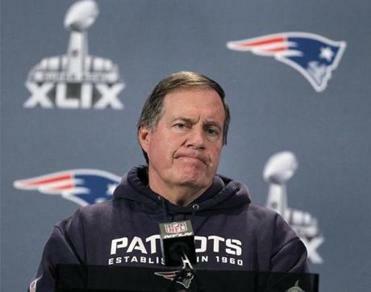 The Patriots’ appeal would have been a mere formality that was immediately denied by the NFL. Then Kraft would have had to sue his fellow owners and his partners, weakening the league if he won. He would have damaged his reputation as a bridge-builder, as a dedicated steward of the league, as the man who saved football during the 2011 lockout. You can’t be the NFL’s selfless savior and then be the man who trashed the NFL’s disciplinary process and took the league to court. Davis, the late Raiders owner and iconoclast, is a cautionary tale for Kraft. Davis is one of the more influential and innovative people in the history of professional football. He helped usher in the modern NFL as we know it, yet so much of that legacy is overshadowed by his legal tussles with the league. Continuing the fight and the public relations thrust and parry with the league beyond the Wells Report truther website was only going to further damage the credibility and erode the integrity of both the Patriots and Goodell. It was mutually assured legacy destruction, and Kraft decided not to push the button. Instead, Kraft succumbed to Goodell’s dartboard discipline. He dropped his appeal, swallowed hard, and accepted the highest fine in league history ($1 million) and the loss of a 2016 first-round pick and a 2017 fourth-round pick. He left Brady, who is appealing his four-game suspension, and Goodell to duel. Kraft and Brady are as close as any owner and player can be, but collectively the owners believe it’s more important for the league to maintain the commissioner’s authority to levy discipline and oversee appeals than it is for any one owner to have his star player on the field. For all the Patriots zealots who feel that Kraft betrayed them, remember that there would not be a football franchise in Foxborough to be fanatically attached to if it weren’t for RKK. He swooped in and prevented the team from moving to St. Louis. He gave the Patriots stability, credibility, and ultimately a championship pedigree. Don’t bite the hand that has fed you seven Super Bowls and four Lombardi Trophies. If Kraft made a mistake in all of this, it was waiting until it was his team on the chopping block to challenge Goodell and his penchant for punishments formulated the same way you attack a pinata — blindfolded and swinging away wildly. 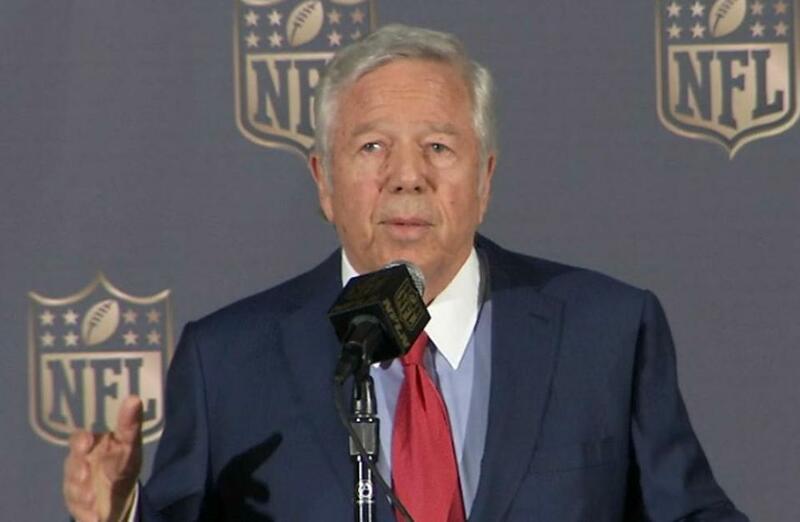 Kraft backed Goodell on the New Orleans Saints Bountygate punishments and his handling of the Ray Rice punishment. In 2013, when ESPN’s “Outside the Lines” did a profile of Goodell, Kraft was fine with Goodell’s punitive process, even though players long before Brady were questioning its arbitrary and excessive nature. Kraft helped create the NFL’s disciplinary beast, and it has come back to bite him. Maybe Kraft cut a side deal with Goodell to go easy on Brady in exchange for the Patriots abandoning their revolt. Maybe he just banked a favor for a future date. Or maybe Kraft just realized risking his legacy over air pressure in footballs was a bad deal.